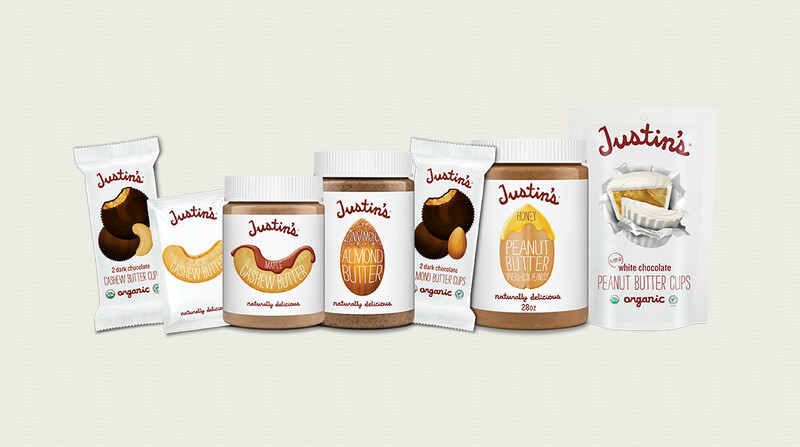 Hormel Foods-owned nut product producer Justin’s has released 11 new nut products including various snacks and nut butters for the US market. The releases included several firsts for the brand, including a cashew butter range, a line of nut cup snacks, while the brand will also extend several of its product lines, including a 28oz jar of its peanut butter. All of the brand’s new products are made using sustainably-sourced ingredients, such as Orangutan-friendly palm oil, while the confectionery products are made using only Rainforest Alliance Certified cocoa. The new cashew butter is the first nut butter featuring a new nut that the brand has released since 2010, and is available in classic and maple varieties and can be bought in jars or squeezable pouches. Three new varieties of cup snacks have been released: Organic Dark Chocolate Cashew Butter Cups, Organic Dark Chocolate Almond Butter Cups and Organic White Chocolate Mini Peanut Butter Cups. All three cup snack varieties are made from USDA-certified organic chocolate. The brand has also released its first cinnamon almond butter, which will be packed in squeezable pouches and in jars.